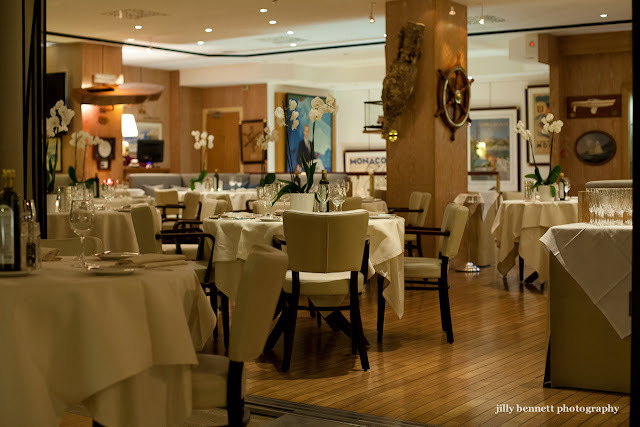 This is the dining room of the Monaco Yacht Club. You have to be a member to dine here or you need to be invited by a member. Soon though the Monaco Yacht Club oves to its new building on the opposite side of the port - designed by Sir Norman Foster, no less. Work in progress can be seen HERE. I am sure the new one will be bigger and better, but there doesn't seem to be anything lacking with the old Monaco Yacht Club.